Jan. 19 (UPI) — Delta Airlines announced Friday new documentation requirements for customers traveling with support animals. The airline said in a statement the new requirements are a result of a lack of regulations that led to serious safety and security risks for passengers. Effective March 1, Delta will require that all customers traveling with a service or support animal show proof of health or vaccinations 48 hours in advance. Additionally, passengers with psychiatric service animals or emotional support animals will need to provide signed documentation to confirm their animal can behave without a kennel in the cabin. “The rise in serious incidents involving animals in flight leads us to believe that the lack of regulation in both health and training screening for these animals is creating unsafe conditions across U.S. air travel,” John Laughter, Delta’s Senior Vice President of Corporate Safety, Security and Compliance, said. 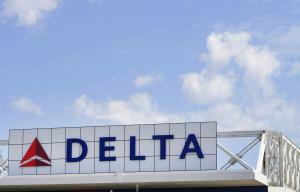 Some customers have tried to travel with comfort turkeys, gliding possums known as sugar gliders, snakes and spiders, Delta said. Animal incidents on Delta planes increased by 84 percent since 2016, including cases of urination/defecation, biting and even a reported attack by a 70-pound dog who bit into the face of a passenger in the seat next to it. The airline says it worked with the input of its 15-member Advisory Board on Disability to develop its new animal requirements. “As a leader in safety, we worked with our Advisory Board on Disability to find a solution that supports those customers with a legitimate need for these animals, while prioritizing a safe and consistent travel experience,” Laughter said.